GM said it sold 9 million vehicles last year, including 2.5 million in China, its No. 1 market. 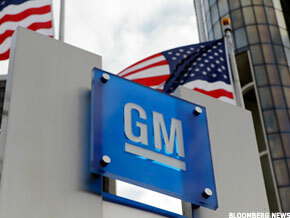 DETROIT ( TheStreet) -- Need more proof bailing out GM ( GM - Get Report) was a good idea? The automaker said Thursday that its global sales rose 7.6%, to 9,025,942 vehicles in 2011, making it the world's leading automaker after three years in second place behind Toyota ( TM - Get Report) . Moreover, GM shares are up 19% so far this year, while the S&P 500 Index is up 4%. In mid-morning trading, GM shares were up three cents to $24.54. GM sold 2,547,203 vehicles in China, its No. 1 market, although 1.2 million cars were sold through a joint venture. GM sold 2,503,820 vehicles in the U.S. Its U.S. sales rose 13% and its China sales rose 8.3%. Toyota sales, hampered by supply disruptions due to the earthquake and tsunami in Japan, sold 7.9 million vehicles in 2011, while Volkswagen sold 8.2 million vehicles. GM also said Thursday that Chevrolet sold 4.8 million vehicles globally. Chevrolet's U.S. sales rose 13%, to 1.8 million, while China sales rose 9.5% to a record 595,068. Chevrolet sold 632,201 vehicles in Brazil, its second-largest market, and 173,485 units in Russia, its fourth-largest. Chevrolet's top global product was the Cruze, which sold about 670,000 units. The Obama administration's bailout of GM is likely to be an issue in this year's presidential campaign. On the one hand, the investment enabled the company to get back on its feet. On the other, the government is unlikely to recover its full $50 billion investment. The Treasury has sold part of its GM holdings, once equivalent to 61% of the company, for $13.5 billion. It still holds 26.5% of the shares, creating an overhang on the share price, and has given no indication when it will sell.